Going on a first date with that cutie? How exciting. 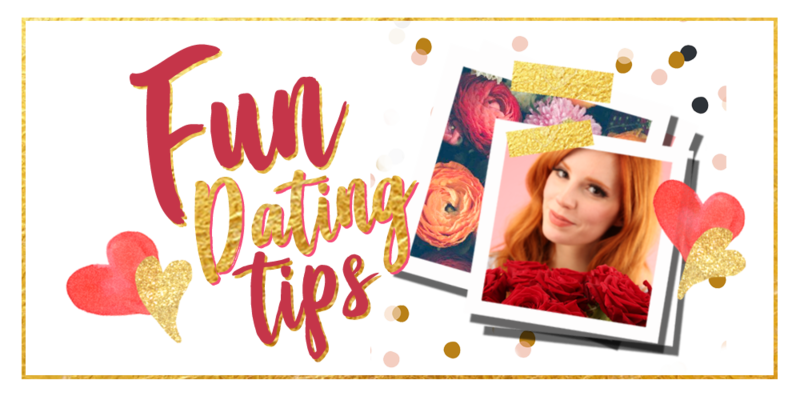 These tips will make that first date a success! · Going ice-skating together is a classic first date! Finish off the date with a well-earned cup of hot chocolate. · Head to a flea market. Even if you don’t need anything, it’s always fun to browse around vintage clothes, tableware or LPs. It’s a fun day out for both of you and it’s a great way to avoid those awkward silences. · How about some alpaca cuddling? You can engage in this pastime at a variety of farms nowadays. And if you don’t like your date, you can always cuddle with the alpaca’s. Too cute! · Rent a tandem and take a bicycle tour together. Make sure you’re seated at the back, so your date can do all the hard work. · Go go-karting. Which one of you is the most fanatic racer? The loser has to buy the post-race drinks. · Go to the zoo and spend some time visiting the monkeys. · Book a boat trip. Do you think it’s too cold for that? Don’t worry, it’s the perfect excuse to cuddle up. But in need of a little inspiration? These ideas will make your date a whole lot of fun! · Take a long walk in the woods and leave your phone at home. Back to nature and plenty of quality time together! · Prepare a delicious picnic, grab a blanket and head to the park. Too cold outside? Why not have a picnic in front of your fireplace? · Why go out if you can stay in and play a game of Twister (or a whole host of other fun board games)? You’ll be in for a hilarious evening! So stock up on wine and finger food and let the games begin. · Why not conquer your fears together? Go to a theme park and take a ride in that super-fast rollercoaster. · Channel your inner van Gogh by painting each other’s portrait. If painting isn’t your strong suit, you might want to agree on drawing a caricature instead, just to make sure you don’t end up in a fight, haha. · Want to add a splash of colour to those dreary winter days? Why not opt for a game of paintball? · Take a road trip! Don’t know where to go? Let a flip of the coin decide your destination: heads is right and tails is left. Going on a voyage of discovery together is always a great idea! Where will you end up? · Attend a wine tasting! Not much of a wine lover? Why not opt for a beer tasting instead? Cheers! · Take a dance class together. Salsa, hip-hop or cha-cha-cha... plenty of choices. How great is it to learn new skills together? · How about some karaoke? Show off your skills and sing a duet. Join in the fun even if you aren’t blessed with a golden voice. · The way to a woman’s heart is through her stomach, right ladies? So, why not take your lover or friends on a food tour of all your favourite breakfast haunts, lunch spots and restaurants all on the same day? It will feel like a mini-holiday and is a delicious treat. · Plan a trip around the world. Admittedly this might take a bit more planning and saving than a regular date, but you could change it to planning just the one holiday. It’s proven that time spent just looking at holiday destinations actually makes you happier.